“On Monday afternoon a goodly number of residents of Cumnock assembled at the Shire Chambers for the purpose of taking part in unveiling the “Roll of Honor” which has been erected in front of the hall, in the shire grounds. The “Roll of Honor” contains the names of all those from the town and district who have offered their services in defense of the Empire. The board on which they are inscribed is of neat design, and is about 4ft 6in, the names being written in aluminum paint. The board is mounted on two stout posts, and the whole forms a graceful tribute to the lads at the front. 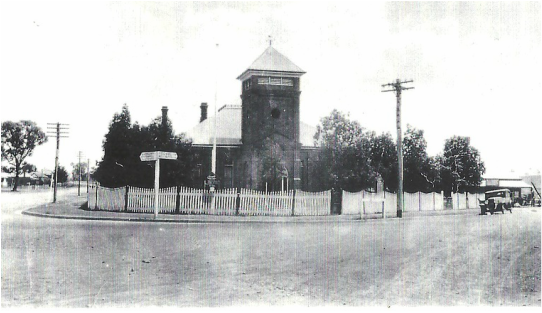 The Honor Board can just be seen to the immediate left of the telephone pole in front of the Amaroo Shire Hall, Cumnock, in the photo below (taken in the 1920s). on 23 February 1918. 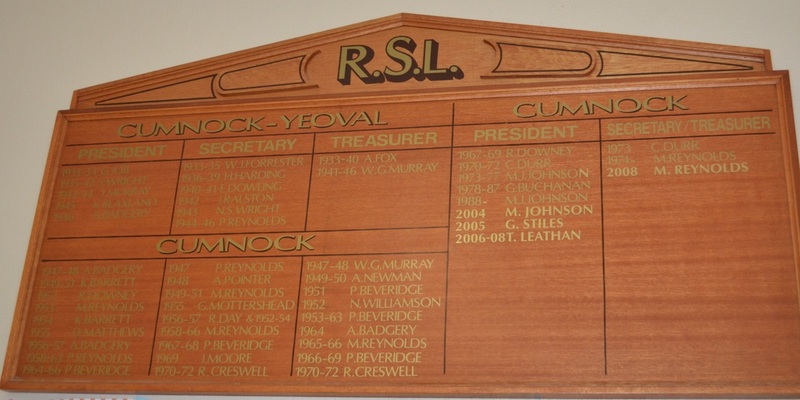 The board was made of Queensland maple and contains the names of those who had attended Cumnock Public School and who had served in WW1. It is presently kept in the Crossroads Building, Obley Street, Cumnock. The Returned Sailors and Soldiers Imperial League of Australia (RSSILA) was formed in June 1916 as a result of the camaraderie, concern and mateship shown by the "Diggers" for the welfare of their mates during and after the 1914-1918 War. New South Wales was admitted to the League in March 1917. The name was changed in November 1940 to the Returned Sailors' Soldiers' and Airmens Imperial League Australia (RSSAILA). In October 1965 the name was changed to the Returned Services League of Australia (RSL) and in September 1990, to the Returned League of Australia Limited (RSL). A sub-branch of the RSSILA was formed at a meeting in Cumnock in July 1933 which was named as the Cumnock-Yeoval sub-branch, with meetings to be held alternately at each branch (Molong & Western District Advertiser - 1 Jul 1933, p3). 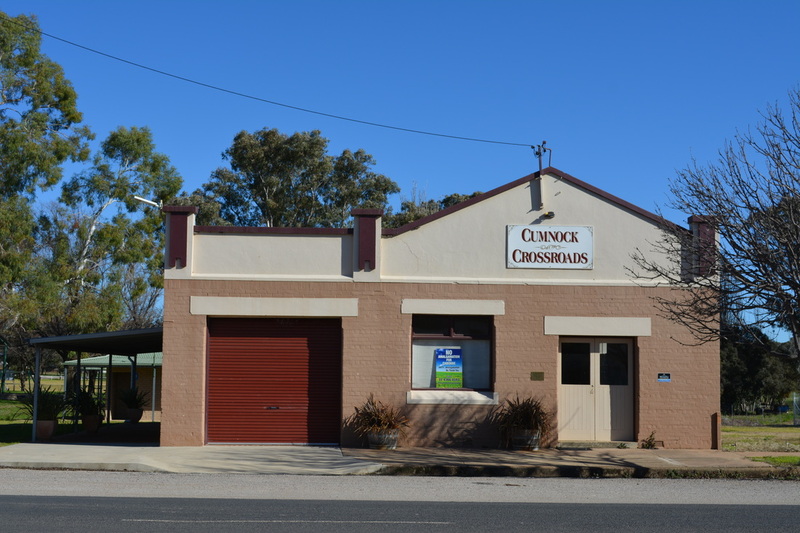 Cumnock established its own sub-branch in 1947 and the Ladies Auxiliary was formed in 1948. 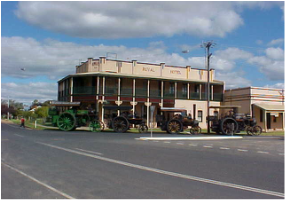 The Cumnock RSL sub-branch folded in 2008 due to lack of members. Mr Tom Leathan was the last President from 2006-2008 and Mr Max Reynolds was the Secretary/Treasurer from 1974-2008. The establishment of a War Memorial Park, with Memorial Gates and a Returned Soldiers League (RSL) Hall in Cumnock, was resolved by members of the Cumnock & Yeoval RSL sub-branch, in May 1945. Mr Aubrey Reynolds, a Captain in the Australian Light Horse and Camel Regiments during WW1, was the first to propose not erecting a stone memorial, but something of practical value to the community. 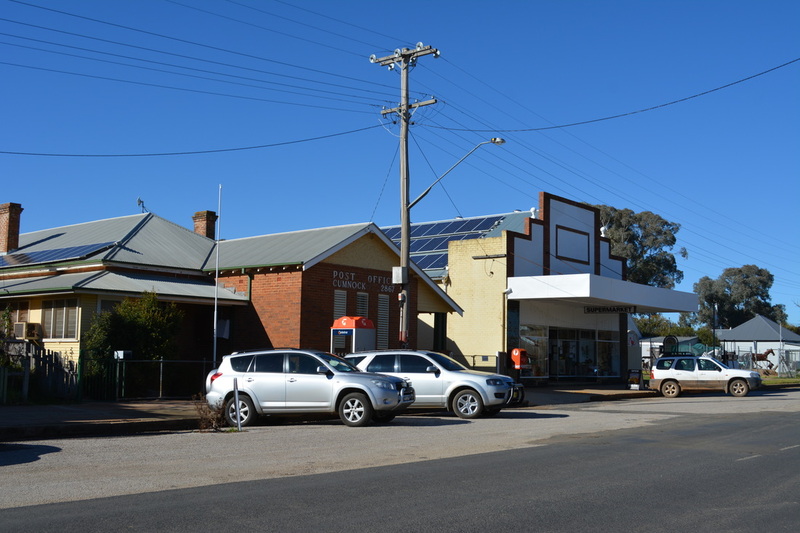 This idea was supported and expanded by Mr Keith Blaxland then President of the RSL sub-branch and Mr George Black, a proprietor of Black Bros General Store in Cumnock. 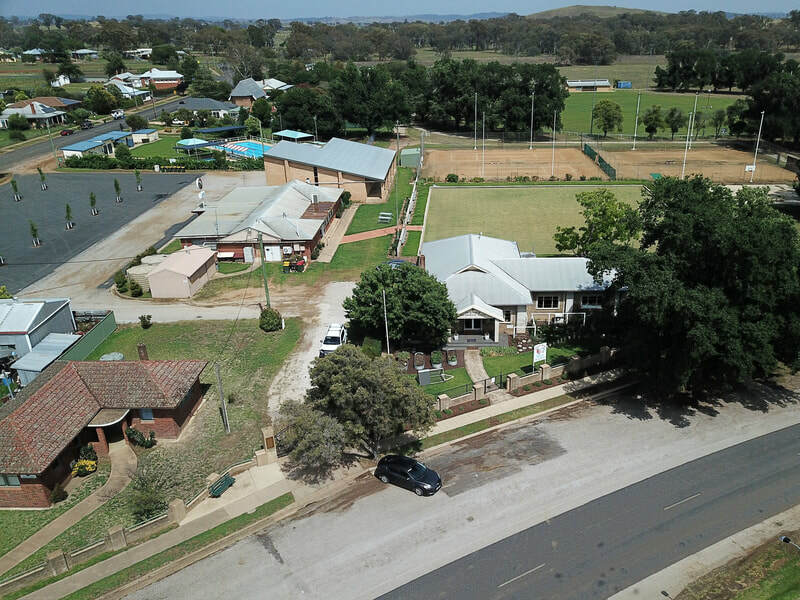 Plans were drawn up, land in the centre of town obtained or donated, and money for the project was raised by the RSL, the community and a loan supported by the Amaroo Shire Council. Work on the Memorial Hall began in 1948 and finished three and a half years later. 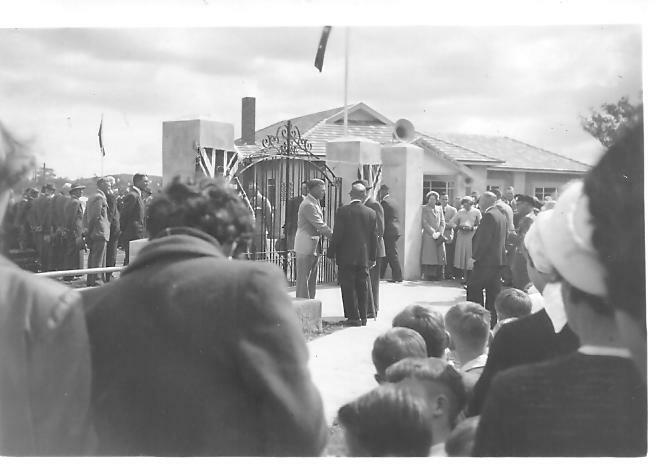 The Cumnock RSL War Memorial Hall and the War Memorial Gates were opened on 28 August 1954 by Sir John Northcott, Governor of NSW and the Amaroo Shire President, Councillor Sylvanus Reynolds. 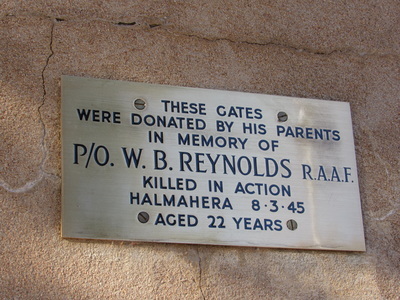 The War Memorial Gates and Honour Rolls were donated by Mr & Mrs Aubrey Reynolds, of Geneffe, in memory of their son, Pilot Officer William Bowd Reynolds, RAAF, who was just 22 years old when his Kittyhawk fighter was shot down over Halmahera, an island in the Dutch East Indies (now Indonesia) on 8 Mar 1945. A brass plaque honours his memory. 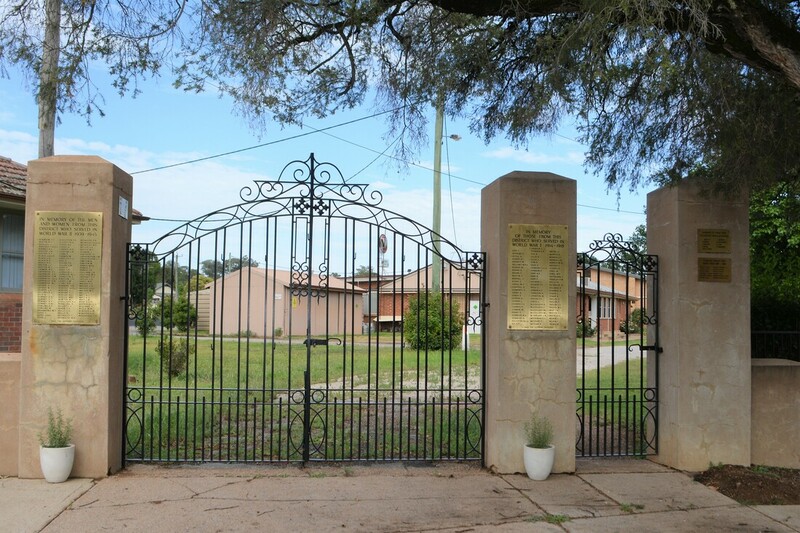 Brass plaques commemorating those who served in the Second Boer War, WW1, WW2 and the Vietnam War are attached to the cement posts of the Memorial Gates. 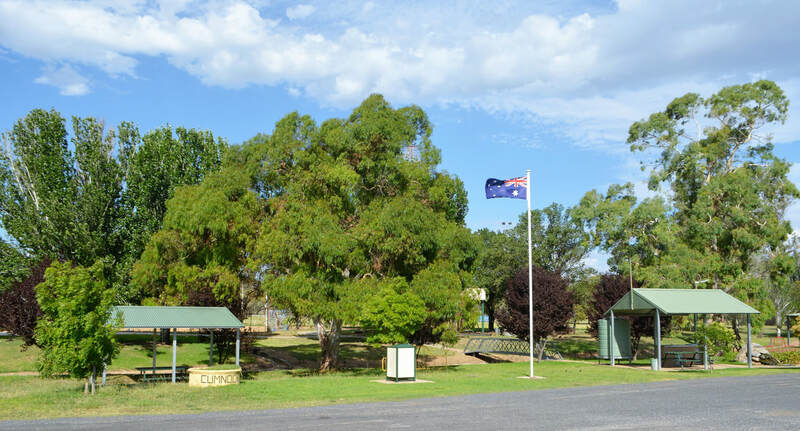 The War Memorial Park has been expanded over the years and presently includes the Wall Memorial Gates, the RSL Memorial Hall (used also as the Cumnock Village Preschool), the CWA Hall, a Community Centre and two squash courts, a sun dial and time capsule monument, memorial trees, a sports ground, two tennis courts, a lawn bowls club, a swimming pool and a children’s playground. The Memorial Park and community buildings are maintained by the Cabonne Shire Council, various community organisations and the Cumnock Progress Review. The Memorial Park entrance on McLaughlan Street, has a sundial and time capsule unveiled on 14 Mar 1970 by Mr Bob Pillans, the foundation secretary of the Cumnock Memorial Park Committee. A new cement mound to house an updated time capsule was unveiled on 27 Nov 2018. A plaque inscribed to the memory of Clive Reynolds in recognition for his efforts in the planning and establishment of the Memorial Park, was dedicated by the Cumnock Progress Association in 1988. Trees donated by some Cumnock families were also planted in the Memorial Park in 1988 to celebrate 200 years of the arrival of the First Fleet in Australia. Cumnock War Memorial Gates, Obley Street, Cumnock. Jan 2019. 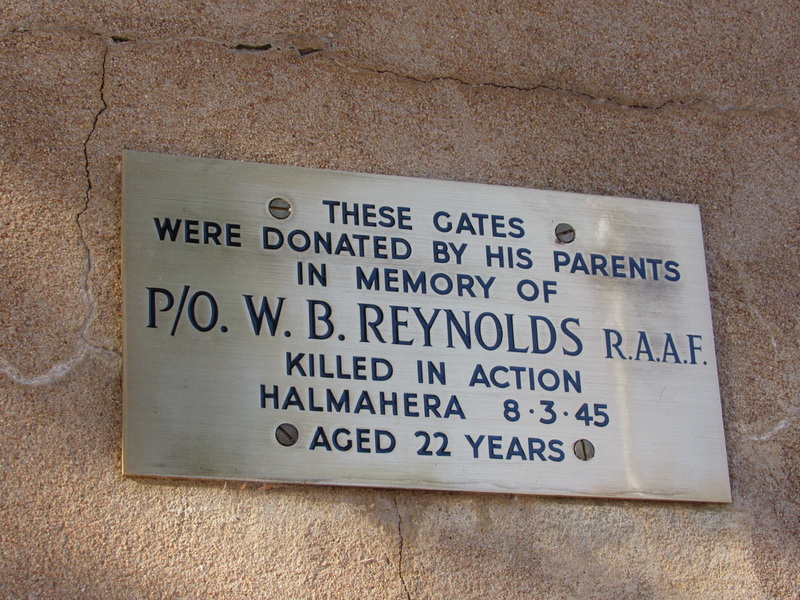 Plaque honouring Pilot Officer William Boyd Reynolds, WW2. Cumnock Memorial Gates donated by Aubrey & Marguerite Reynolds 1954. RSSILA & RSL Executive Members Board, Cumnock Memorial Hall. 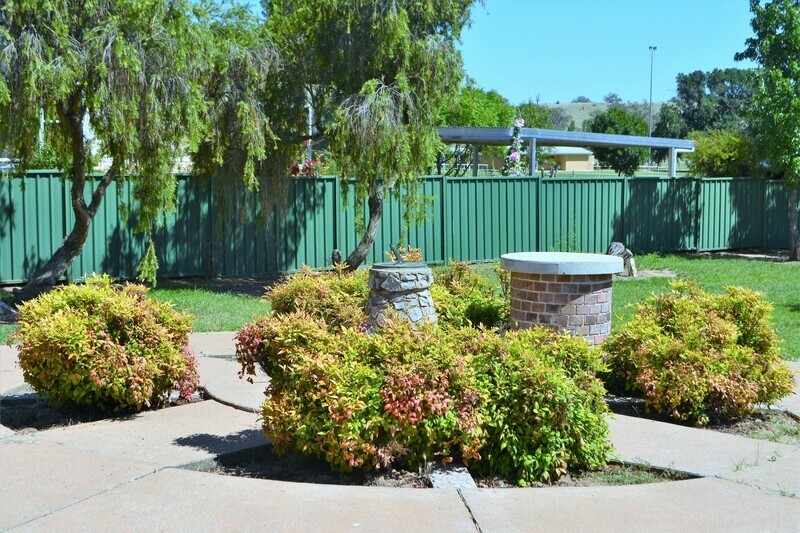 Sundial & Time Capsule monument, McLachlan Street entrance to the Cumnock War Memorial Park. Dec 2018. 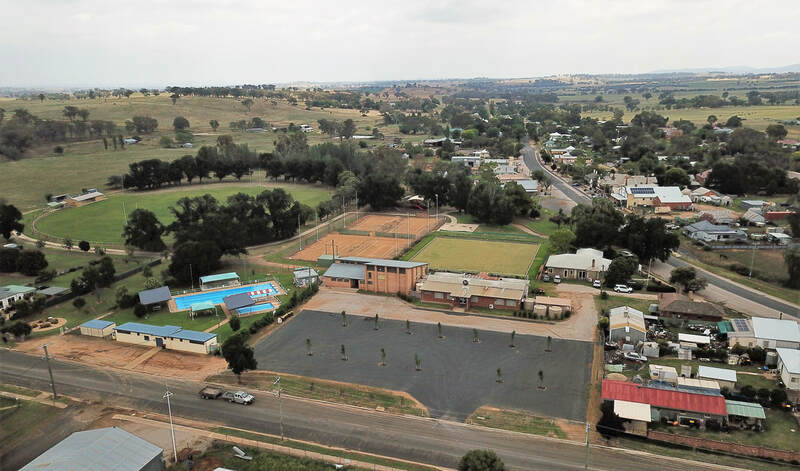 Cumnock Crossroads Park with children's playground, tennis courts and sports oval in background. Jan 2019.